As part of an ongoing series, we’re featuring the favorite places of Yosemite community members and park visitors. The Wawona Hotel grounds are a favorite place for Jessica Kennedy, who lives and works in Yosemite Valley. “Like many Yosemite visitors, I drove past Wawona often without giving it much thought. Yosemite is full of incredible vistas, huge waterfalls, and jagged peaks, and I didn’t see how Wawona’s forests and rolling hills fit into that. It’s not the Yosemite that first comes to mind, but Wawona has its own special charm. Summer in Yosemite is marked by hot, sunny days and crowds of tourists. But tucked away on the southern end of the park, the Wawona area reminds me of a peaceful visit to my southern grandmother’s home. The hotel’s façade is wooden and painted white, just as it was in the hotel’s early days when guests arrived by stagecoach. When I last visited on an afternoon in June, a cool breeze was blowing through the old sequoia trees on the property and groups of families and friends were sitting outside in lawn chairs reading or reminiscing together. My favorite hidden treasure in Wawona is the golf course. I’m not a golfer and never plan to be, but this is the first golf course I’d ever spend an afternoon visiting. The atmosphere is so casual and welcoming that I’d even consider giving golf a shot. The edge of the course is lined with wildflowers, and the thick forest of trees along each hole makes it feel like your own private retreat. And then there’s the chorus of ever-chirping birds. I don’t need to be homesick for the South — the bright, warm afternoon, the tall pine trees, and the cold iced tea are all right here. On your way into the park, stop by Wawona to look around, sip on an iced tea, or grab a meal. You don’t need a reservation to check out the golf course or admire the giant sequoias. 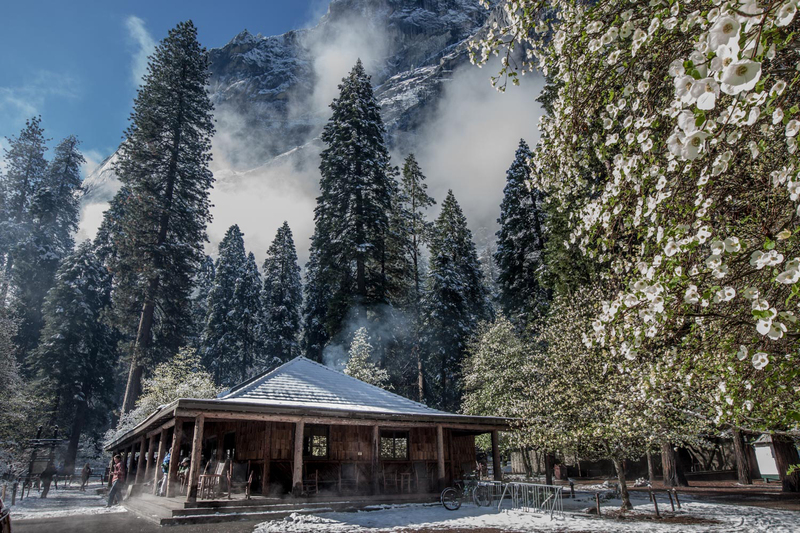 If you want to know more about the Wawona area, sign up for our mailing list and look out for our August Yosemite in Focus newsletter all about Wawona. By jrskennedy  Posted in Misc. Mules have a long history in Yosemite National Park. In Yosemite’s early days, mules were responsible for getting people and supplies into the park and were crucial in early road building efforts in Yosemite, Sequoia, and Kings Canyon National Parks. In 1864, James Hutching brought in a pack train of 100 horses and mules, starting the tradition of tourist stables in Yosemite Valley. In the late 1800s, Wawona was developed and became the largest stage stop in Yosemite. Stagecoaches would often stop at Wawona Hotel for the night before the final eight-hour push to Yosemite Valley the next day. With their reputation as sure-footed, reliable animals, mules have long reigned supreme to horses for packing and riding on Yosemite’s rocky terrain and steep trails. Compared to horses, they also endure heat better, eat less, more rarely have hoof problems, do better in groups, and tend to have a higher sense of self-preservation. 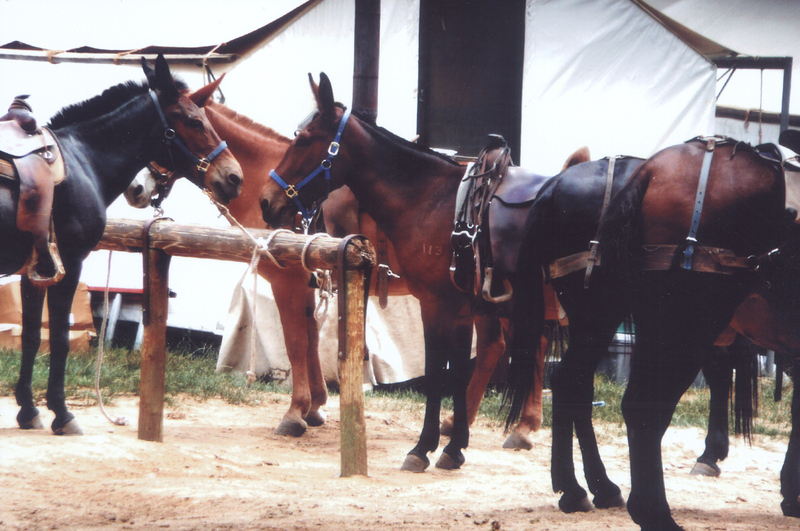 Mules are used in a variety of ways in the park today. On a trail ride from the stables in Yosemite Valley, Tuolumne, or Wawona, you’ll probably be assigned a mule instead of a horse. Mules are great animals for riders of all levels. Because mules stick with their horse mothers when they’re young, they naturally follow horses, the preferred animal for guides to ride. When you take a trail ride, you’ll see that the mules are quite good at following each other in a line. Mules are responsible for getting all five of Yosemite’s High Sierra Camps running. Every part of each High Sierra Camp – the tent canvas and frames, wood stoves, mattresses, and more – was originally brought in by mules. Pack mule trains deliver food and supplies to each camp twice a week on a set schedule in the summer. If you’re hiking on trails near the high camps, you may cross paths with pack trains. If you do, say hello, step to the side of the trail, and wait for the mules to pass. If you’re dying to ditch your heavy backpack or skip the hiking, consider a custom or standard saddle trip. Most trips allow you to spend a few days with a professional guide packer learning about Yosemite and traveling from one High Sierra Camp to another. Custom pack trips are available from all three of our stables. These trips book up far in advance, but you can call the stable at (209) 372-8348 and check for availability. In Yosemite and other parks across the country, mules are essential tools for trail crews, wilderness rangers, backcountry utilities, fire suppression, and search and rescue efforts. To top it all off, mules are spunky, mohawked animals full of lovable personality. This is the last year to take a trail ride at the stables in Tuolumne and Yosemite Valley, but there are no planned changes to trail rides at Wawona Stable. If you’d like to go on a trail ride, find more information online. *Black and white photos are from Arcadia Publishing’s Images of America books about Yosemite Valley and Yosemite National Park and Vicinity. If you have ever stayed at a High Sierra Camp in Yosemite National Park, you have been fortunate enough to experience one of the most unique dining experiences in California. Yosemite’s High Sierra Camps provide the backcountry experience without the burdens of backpacking by providing tent cabins with bunk beds, linens, and meals cooked on-site with great care by High Sierra Camp cooks. Five camps: Glen Aulin, May Lake, Vogelsang, Sunrise and Merced Lake, provide access to some of Yosemite’s most breathtaking landscapes during the short summer season in the high country. Each year, the High Sierra Camp cooks attend a High Sierra Cooking Camp before the summer season begins and guests begin arriving for their backcountry experience. All five camps have their own cooking staff comprised of two camp cooks who split the week for the entire season. With three and a half days on and three and a half days off, the cooks prepare breakfast and dinner meals every day until the camps close down in September. Glen Aulin is the first camp to open each summer and though it has the smallest kitchen, it is usually the site of Cooking Camp. All camp chefs gather at in the camp kitchen during setup and spend time with Ahwahnee Executive Chef Percy Whatley in a communal cooking atmosphere meant to foster ideas, camaraderie and good cooking. Chef Percy has been conducting Cooking Camp since 2002 and prior to that, Delaware North Master Chef Roland Henin conducted the very first Cooking Camp. This year Cooking Camp took place on June 9 and 10, 2015 at Glen Aulin High Sierra Camp. Cooks are very passionate about their jobs at the High Sierra Camps. They treasure the freedom and creativity of running each kitchen independently as a High Sierra version of Executive Chef. Though the camps have a set menu for the main dish ingredient, how the dish is prepared and which side dishes accompany the main is up to each cook, and they embrace this flexibility wholeheartedly. Food orders are placed a week in advance and fulfilled by mule train delivery from the Tuolumne Meadows Stable (or Yosemite Valley Stable in the case of Merced Lake), so creative menu planning is a must. If, for some reason, the requested menu items don’t make on the mule train, camp cooks test their creative cooking skills by improvising from the pantry. Camp cooks begin their day at 5:45 am to prepare breakfast and continue cooking throughout the day, including making bread from scratch and providing a hot drink service prior to dinner. Dinner prep begins in the afternoon before finishing the day with final cleanup by 10:00 pm. Box lunches for guests are sandwiches prepared and snacks assembled by camp helpers. With three and a half days off each week, camp cooks make the most of their location in Yosemite’s high country. Next to cooking in the High Sierra, every camp cook expressed a love of Yosemite as the most compelling reason to accept the challenge of preparing meals in such a remote location. Guests of the High Sierra Camps are guaranteed meals as part of their camp reservation. Hikers and backpackers can also tent camp next to the High Sierra Camps in campgrounds operated by the National Park Service and still be served a hearty backcountry meal. Tent campers may take advantage of the proximity to camp by purchasing a Meals Only High Sierra Camp reservation. To tent camp, you must have a wilderness permit issued by Yosemite National Park. Please note that in the past, a Meals Only reservation purchase guaranteed a wilderness permit for the holder and this is no longer accepted. You must already have a permit in order to make a Meals Only purchase. John Corry at Sunrise for 13 years, also fill-in cook who has cooked at all camps! 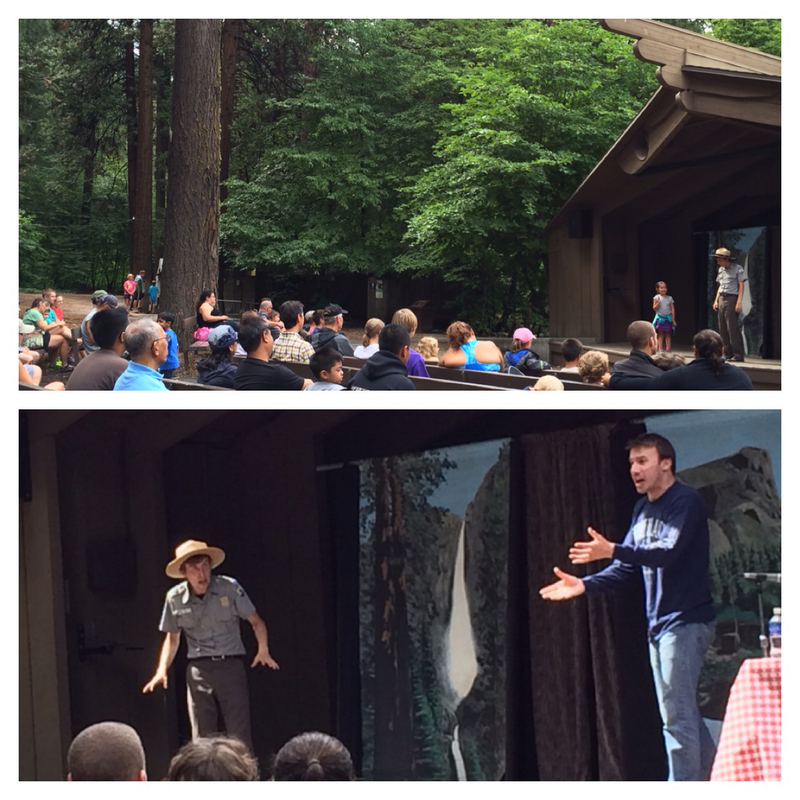 On a sunny summer day, tucked back in the little amphitheater in Curry Village, there’s a good chance you’ll find a quirky “ranger” captivating an audience of wide-eyed kids with stories of Yosemite. 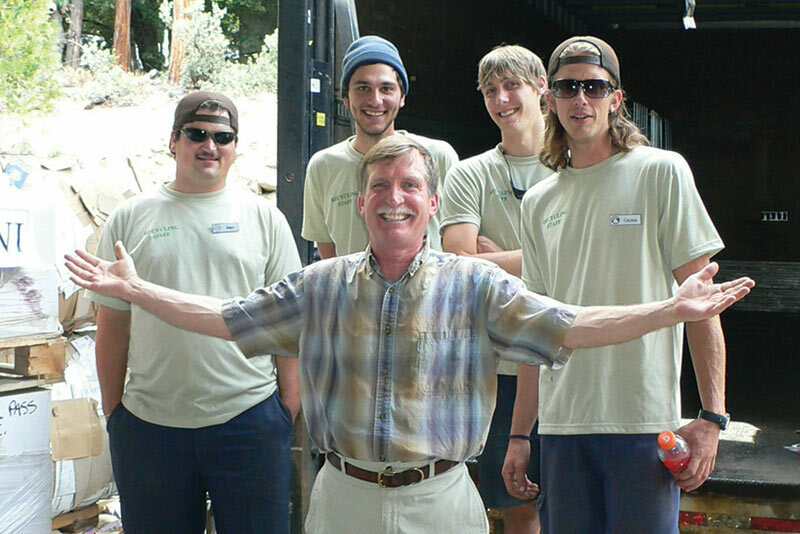 Ranger Ned is no ordinary ranger – he’s a time traveler, an educator, and a passionate Yosemite guest. Played by different actors over the years, Ranger Ned weaves together Yosemite history, campsite rules, bear safety, and environmental conservation alongside another actor who plays a handful of supporting characters – John Muir, Ansel Adams, and Bob the Bear, to name a few. Mercer and Elias visited in 2007 and noticed the park didn’t have any plays specifically for children. After meeting with park staff and partners, they developed a script that has stayed the same since then. 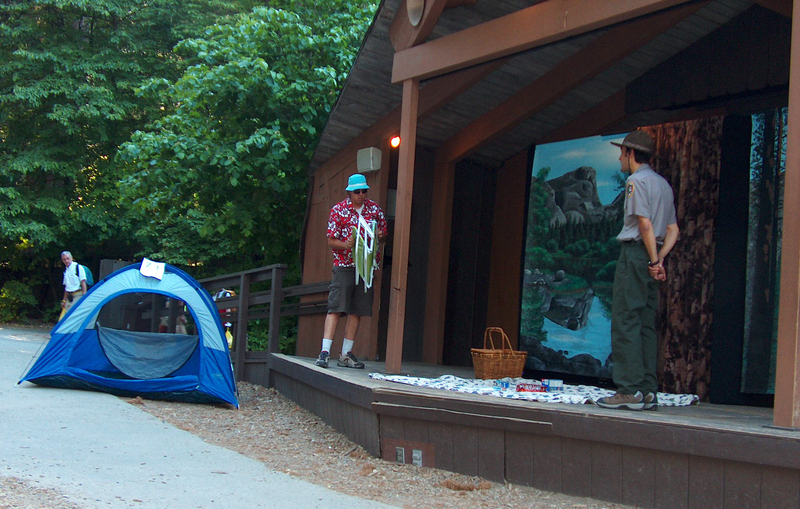 Over the years, the play has been performed at Yosemite Lodge at the Falls and the amphitheater near Housekeeping Camp, but Curry Village is its primary home. According to Renee Santiago, administrative assistant at Curry Village, it’s a cherished and helpful part of Curry Village’s summer programs. “I’ve often heard a child reprimanding their parent after the show for improper food storage, saying something like, ‘Mom! We have to get the cooler out of the car so the bears don’t break in,” Santiago said. With over 500 tents and cabins, proper food storage is extremely important at Curry Village. The program is almost always held outside, which makes the script feel more applicable. “When ‘John Muir’ is describing a ‘puzzle-piece Ponderosa Pine,’ he can actually run up to a giant Ponderosa and show the audience what it looks like,” Santiago said. Although the script doesn’t change, some guests return year after year. Tricia Guyot and her family visit Yosemite from Southern California each year, and they always attend a Ranger Ned show. The interactive nature of the show gets kids involved – “demonstrating sounds of thunder, galloping onto the stage riding a ‘pony,’ or prancing around like one of the parks’ many mule deer,” Guyot described. In addition to Ranger Ned’s Big Adventure, young visitors to Yosemite can check out our other programs for kids and families. 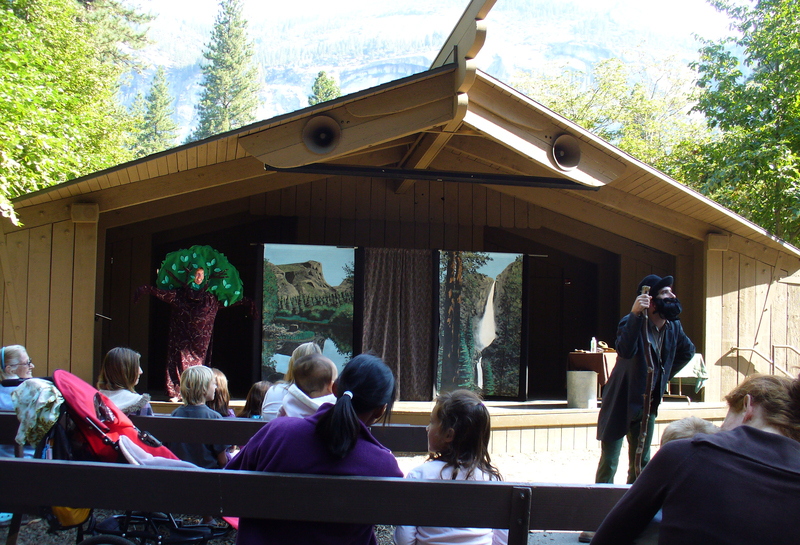 What are your favorite family programs in Yosemite? Curry Village after a spring snowstorm 2015. Photo by Marta Czajkowska. 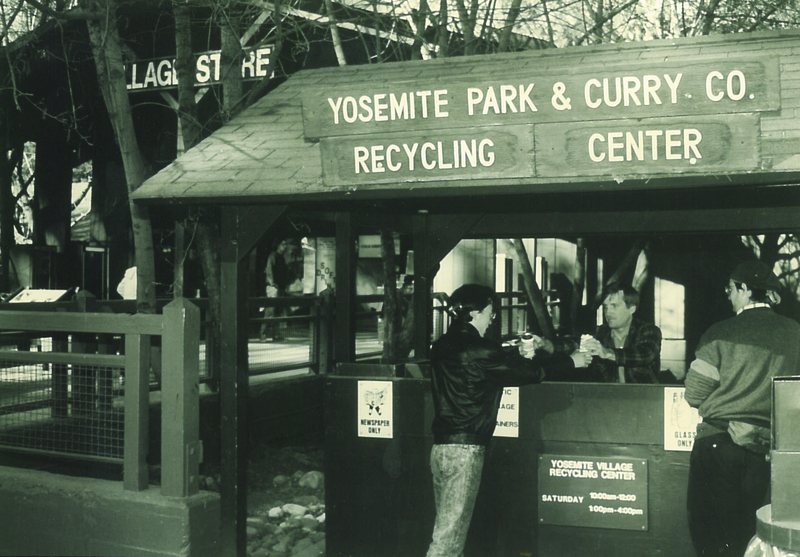 Did you know that Curry Village in Yosemite National Park is a National Historic District? Designated on the National Historic Landmark register as Camp Curry Historic District, Curry Village was originally established as Camp Curry by the Curry family in 1899. Over one hundred years later, this rustic resort in Yosemite Valley is still serving thousands of park visitors each year with a mix of lodging consisting of hotel rooms, cabins and tent cabins set at the east end of the valley just under Glacier Point with a commanding view of Half Dome. Curry Village is by far the largest lodging property in the park with 503 accommodations. 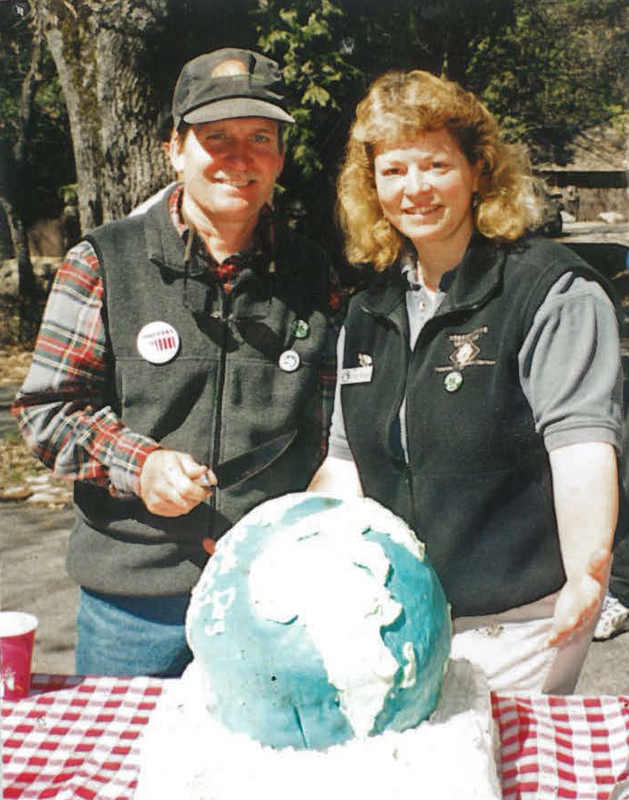 With restaurants, stores, a swimming pool and a guest lounge, Curry Village maintains the legacy of Camp Curry with comforts established by the Curry family and their passion for Yosemite. 1. The original rate was $1.50 per day. This rate included lodging and meals. 2. The camp once housed a bowling alley and dance hall. 3. Early refrigeration consisted of carving blocks of ice from Mirror Lake in winter and storing them in sawdust for summer. 4. There was one heck of a toboggan run at Curry Village from 1927 to 1952. 5. After Camp Curry, the Curry family built The Ahwahnee Hotel in Yosemite Valley and became the Yosemite Park & Curry Company. 6. A children’s park at Camp Curry was known as Kiddie Kamp, and housed a petting zoo. It also included a mini train ride. 7. At Camp Curry, the song “Indian Love Call” was sung during the Firefall, which took place every summer night at 9:00 pm. 8. The Curry Village Ice Rink once hosted a Winter Carnival where a King and Queen were crowned during an elaborate pageant.